Renowned conductor CHEN Xieyang is Honorary Music Director of Shanghai Symphony Orchestra, Principal Guest Conductor of China National Symphony Orchestra and the Music Director of Suzhou Symphony Orchestra; now a member of the Chinese People's Political Consultative Conference and the Shanghai Municipal Committee of the People's Political Consultative Conference, Vice Chairman of the Shanghai Musicians' Association, member of the Standing Committee of the China Musicians' Association, and Chairman of the Shanghai Symphonic Music Lovers’ Society. He has conducted orchestras both in China and abroad, including the US, Austria, Denmark, France, Germany, Great Britain, Italy, Russia, Spain, Switzerland, Japan, Korea, the DPRK, Thailand, Singapore, Australia, Hong Kong, Macau and Taiwan. He has led the China National Symphony Orchestra on its tours in Austria, Denmark and Germany, as well as the “Chinese Culture in America” Festival at the Lincoln Center. His concerts at the Gro?er Saal Musikverein of Vienna and the Lincoln Center of New York have won enormous successes. Chen’s recording of the Butterfly Lovers Violin Concerto won the Gold Record prize in 1989. Since 1987 he has been listed in the Who’s Who in the World compiled by the Cambridge International Biographical Center in the United Kingdom. Chen’s discography includes the COMPLETE SYMPHONIES OF ZHU JIAN-ER, COMPILATION OF ZHU JIAN-ER’S ORCHESTRAL WORKS, LV QIMING’S ORCHESTRAL WORKS AND COMPLETE BEETHOVEN SYMPHONIES. Born in an exceptionally distinguished family of musicians, Maxim Mogilevsky made his debut at age thirteen with the Moscow Philharmonic Orchestra. Since then he has gone on to perform as a soloist with major orchestras around the world, include the New York Philharmonic, Seattle Symphony, Turku Philiharmonic, Orchestre National de France, Rotterdam Philharmonic, Marrinsky Orchestra, St Petersburg State Symphony Orchestra, Russian National Orchestra, to name a few. Mogilevsky’s New York debut in December 2007 was with Mariinsky Orchestra and Maestro Valery Gergiev at Carnegie Hall, later in 2011 their recording received the prestigious 2011 International Classical Music Award. Mogilevsky has served as adjudicator at the Kazakhstan International Piano Competition, Lang Lang Competition, Moscow Conservatory International Piano Competition, Sorantin Music Competition in Texas and the Tchaikovsky International Junior Competition. Mogilevsky has worked as guest artist at Boston University, Assistant Professor at Oberlin Conservatory from 1996-2001, Visiting Assistant Professor at the Eastman School of Music during the 2009-10 academic years, and as guest artist at Boston University in 2011-2013. He started teaching at the New England Conservatory in January 2015. 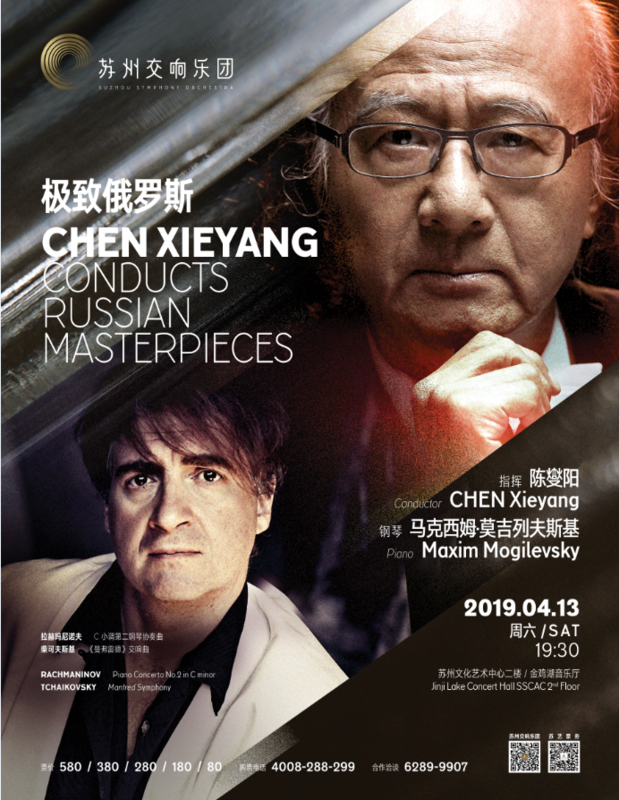 Mogilevsky holds the post of Distinguished Professor and Director of the Piano Program at Suzhou University of Science and Technology and serves as an artistic advisor the Jiangsu Center for the Performing Arts.